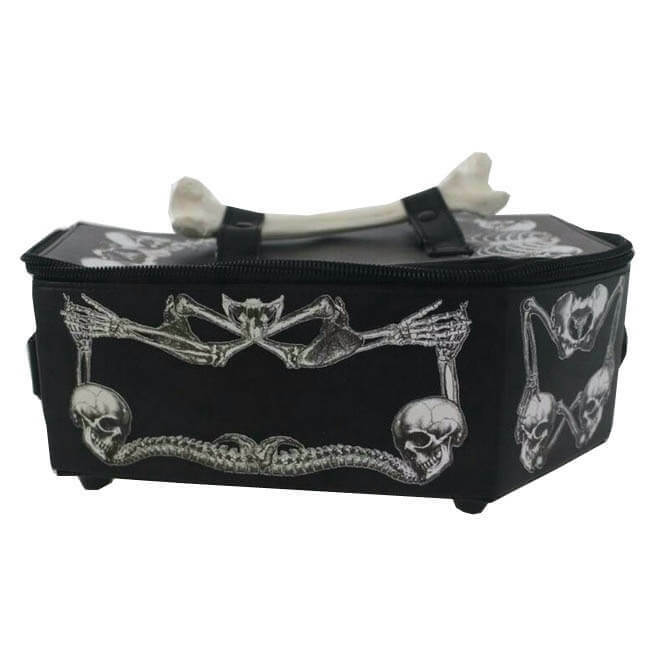 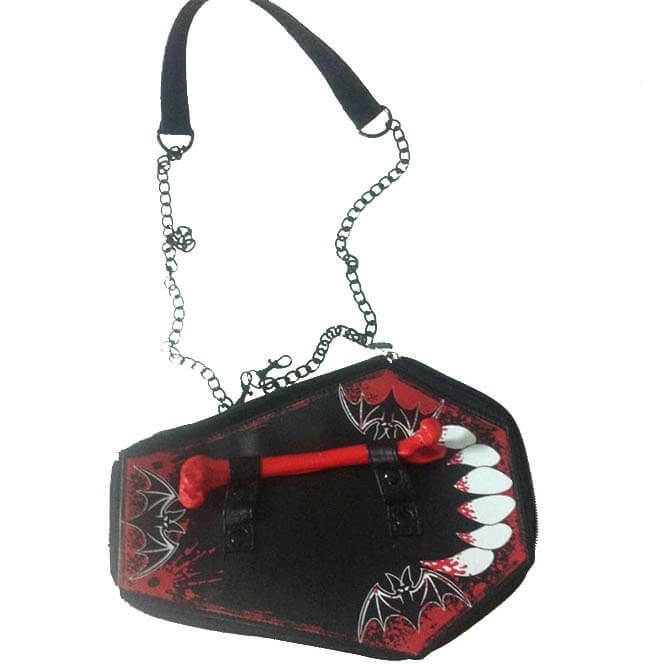 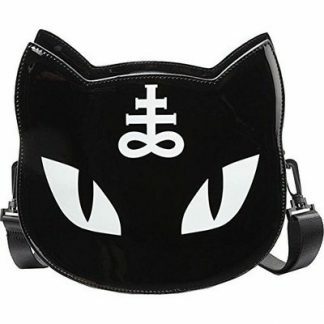 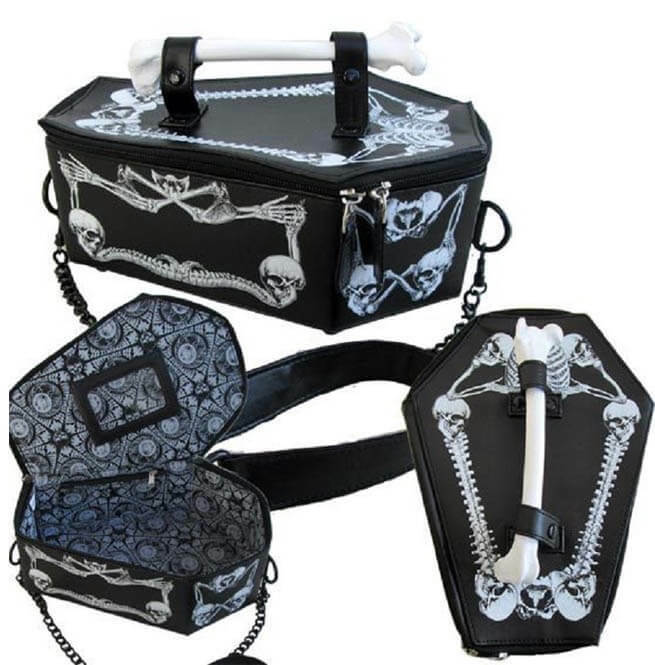 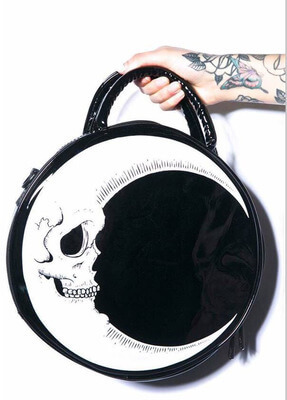 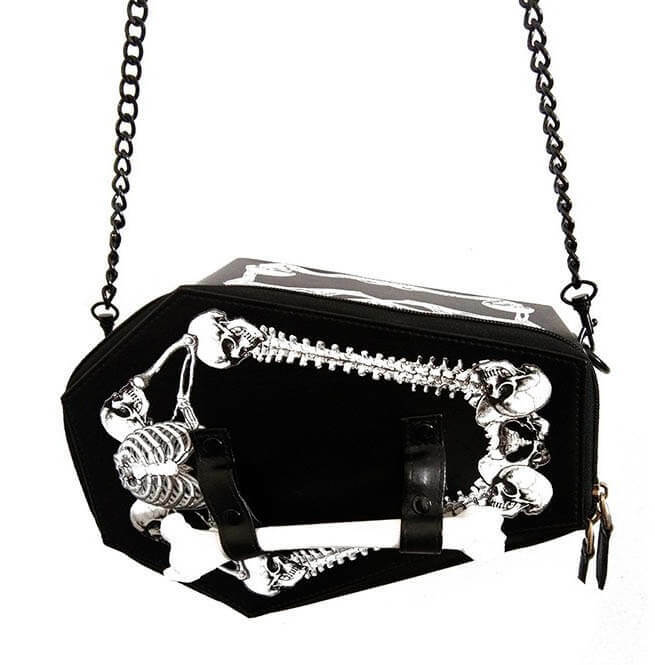 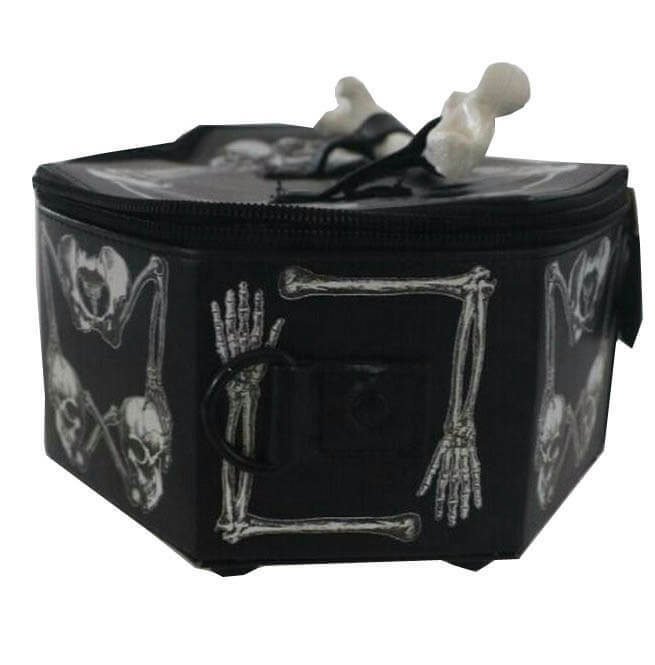 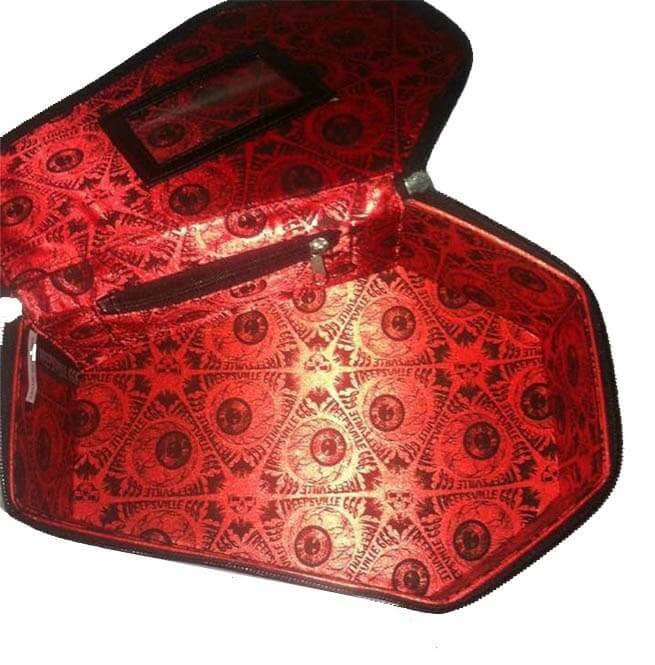 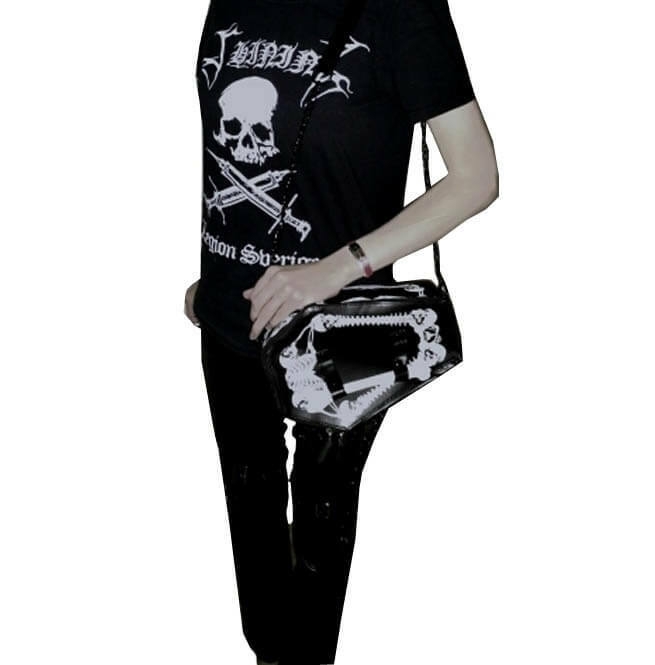 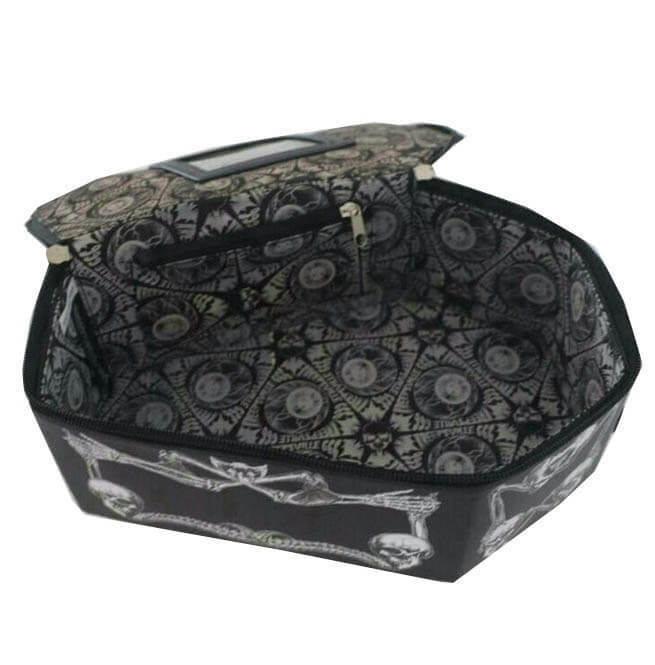 Super cool spooky bag for creeps! 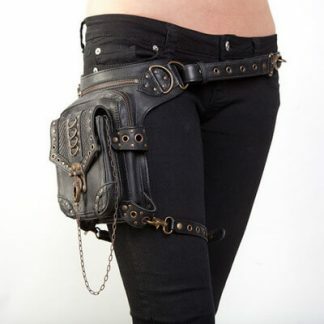 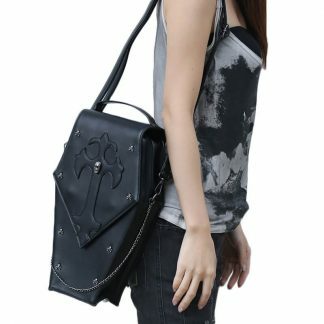 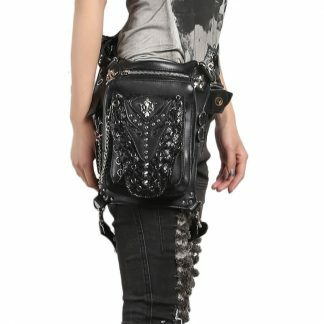 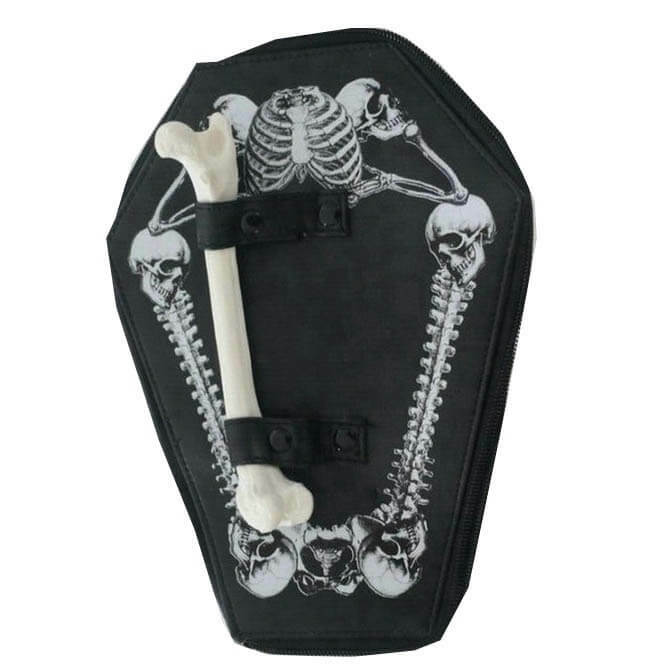 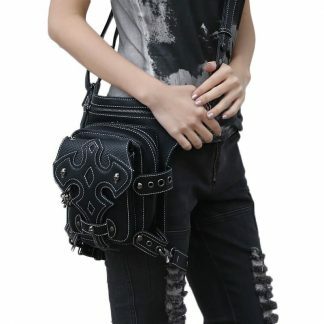 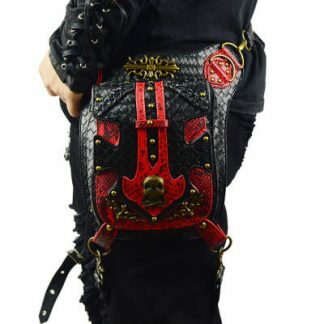 Has one long shoulder strap chain and an additional “bone” handle. 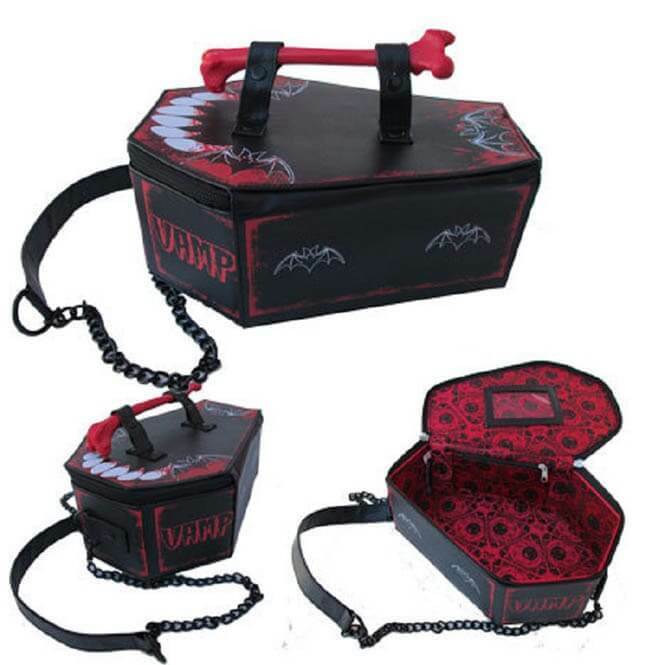 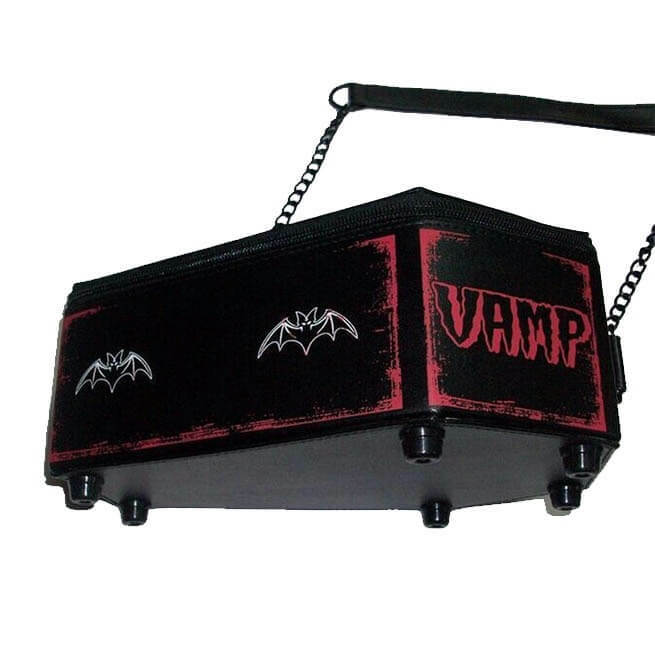 The red vampire version has the word VAMP on the side and fangs on top!